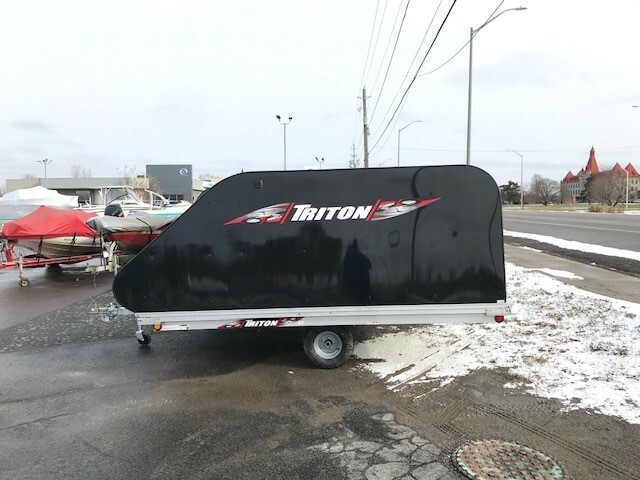 Covered 8'x11' Triton Snowmobile Tilt Trailer w/4x4 front door opening. Freight & PDI included. Add HST & Licence. Fully treated 1/2" marine grade plywood for durability and superior protection from the elements. Backed by a limited lifetime warranty.